Just in and awaiting preparation. 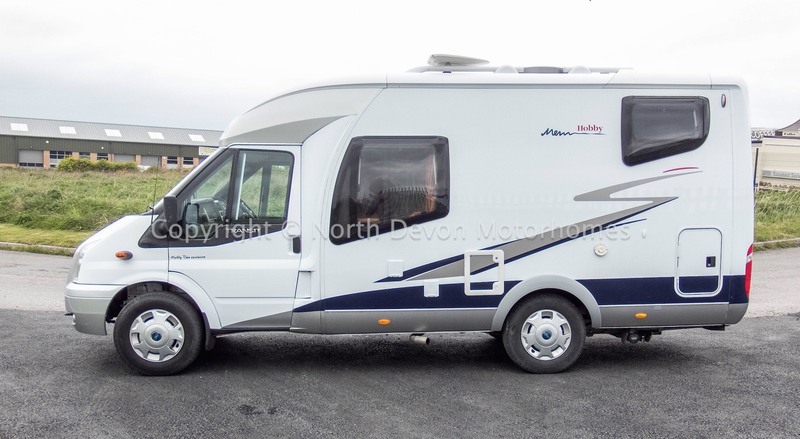 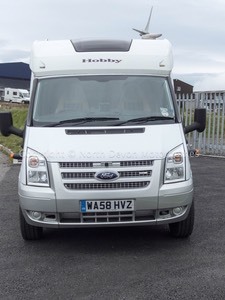 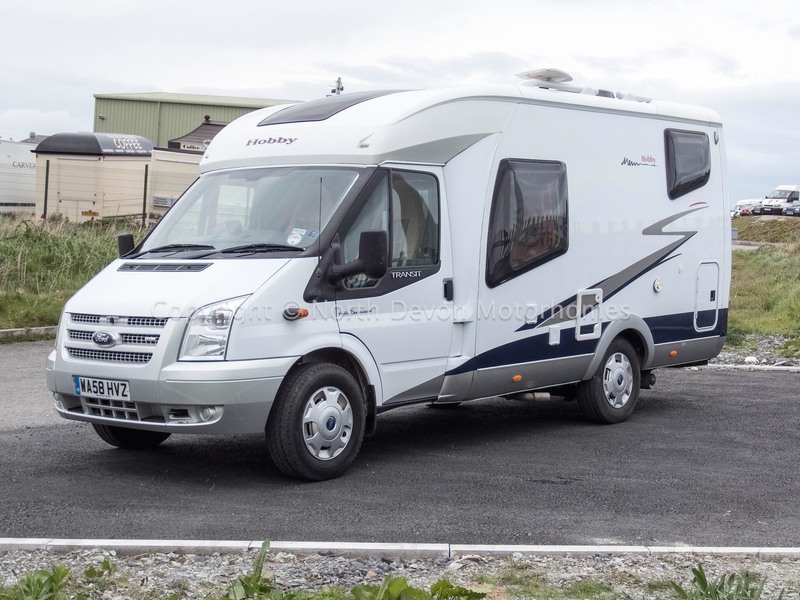 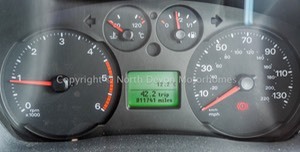 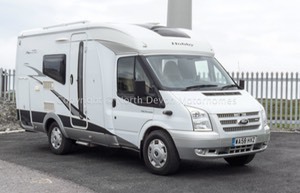 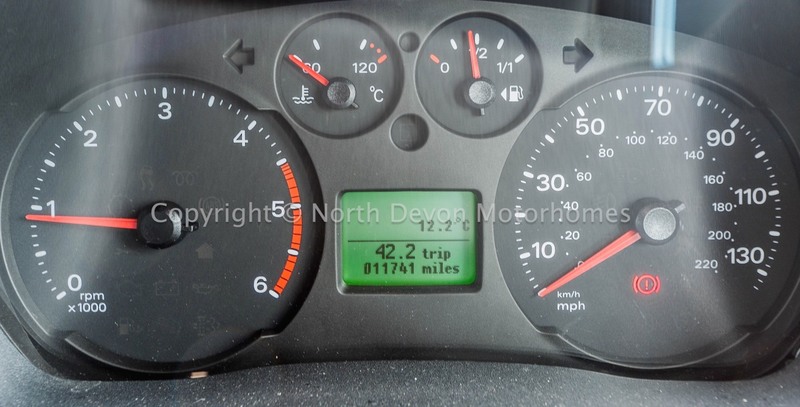 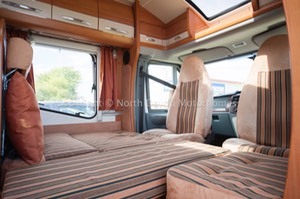 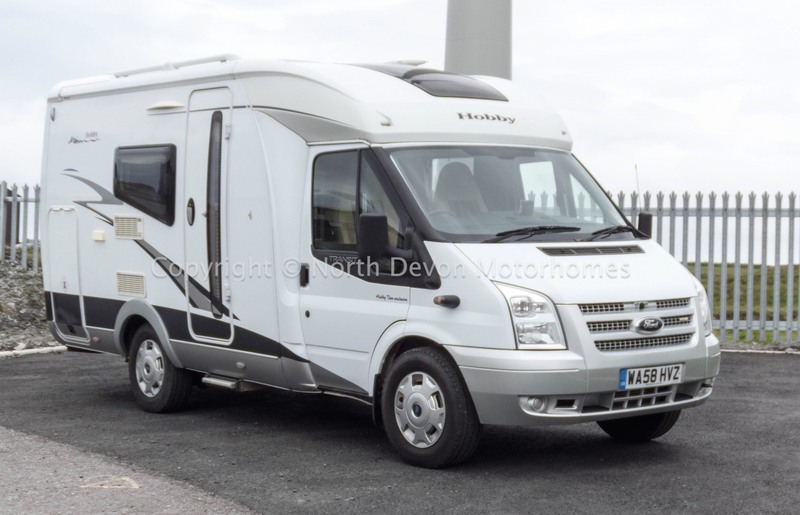 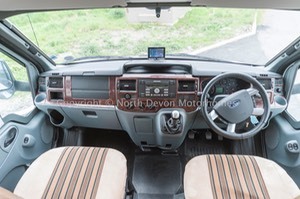 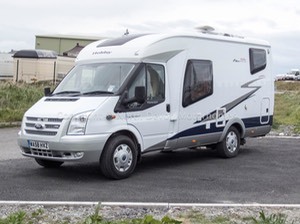 Under 12,000 Miles, based on the trusty 2.2TDi Ford Transit, with a fixed bed over a nice sized garage this lovely vehicle is well worth a look, Four Travel Seats, 6 Speed Gearbox and a new MOT with no advisories. 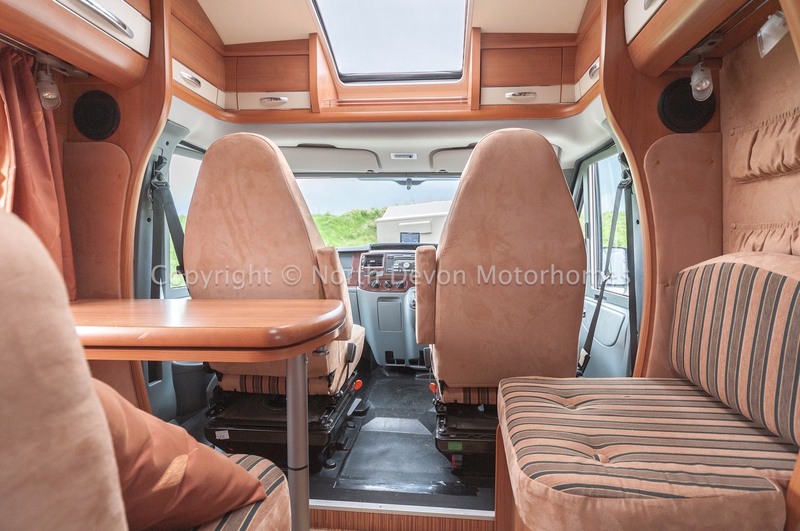 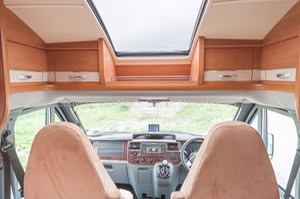 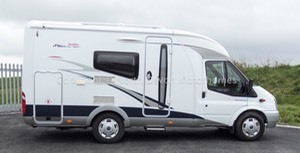 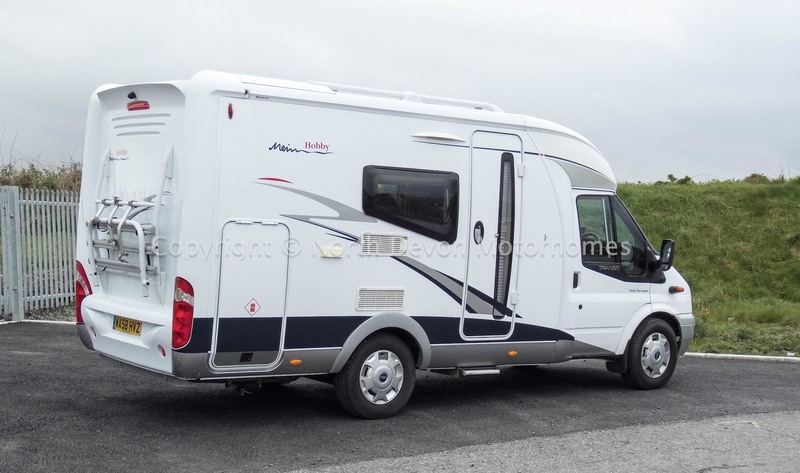 Electric Windows, Electric mirrors, PAS, Stereo, Drivers and Passengers Airbags, Cruise Control, Air Conditioning, Swivel Captains Seats, Built in Blinds, SatNav. 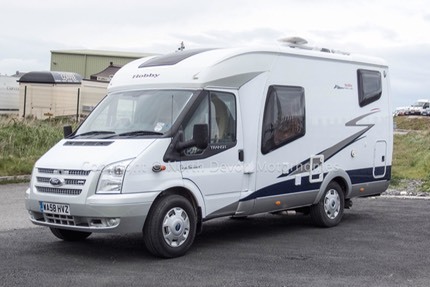 Compact yet versatile with a possibility of seating five incorporating cab swivel captains seats, good amount of natural light with large roof light over cab, TV station, storage over. 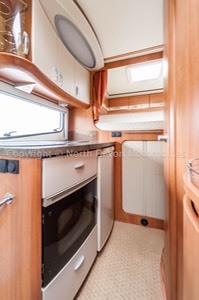 3 burner gas hob, Sink, high and low level storage, oven/grill unit, 3 way fridge with freezer compartment, 240 socket, large storage area under bed seperate from garage. 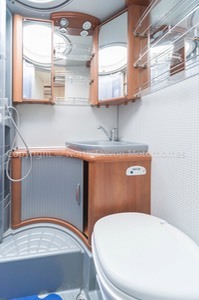 Nice size washroom with shower and door enclosure, corner sink with vanity unit and mirror, cassette toilet, skylight with net, hot air heating point. 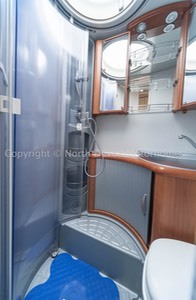 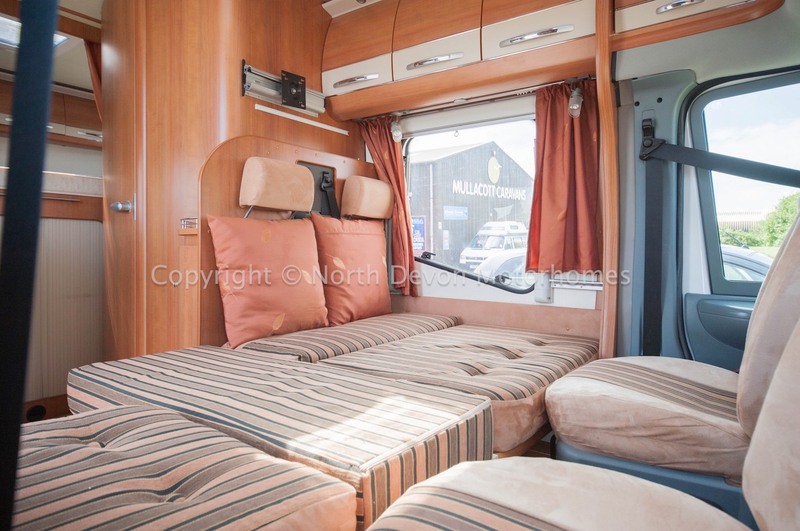 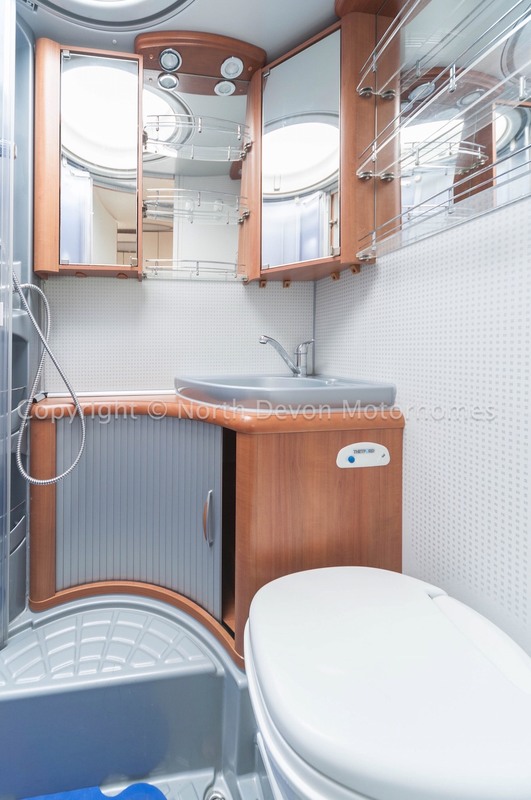 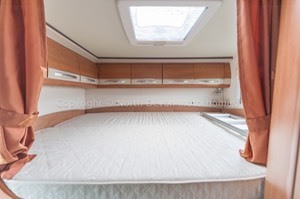 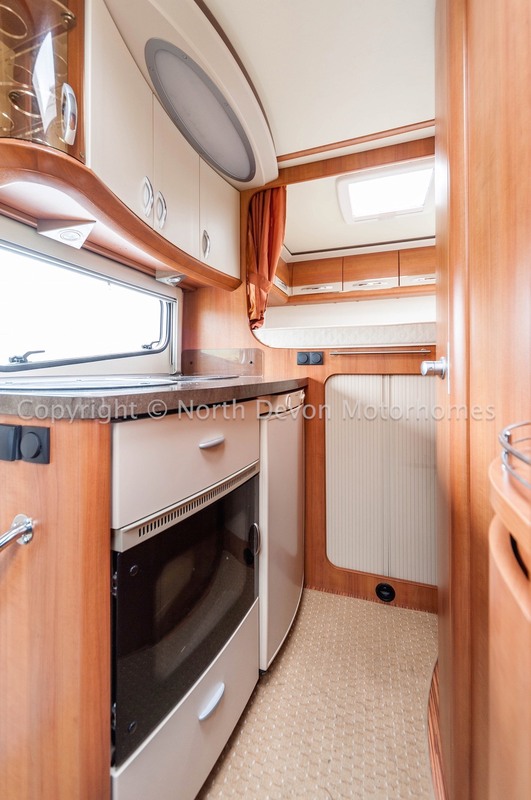 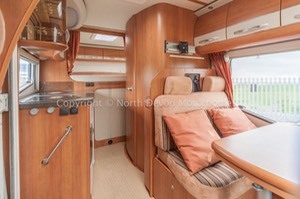 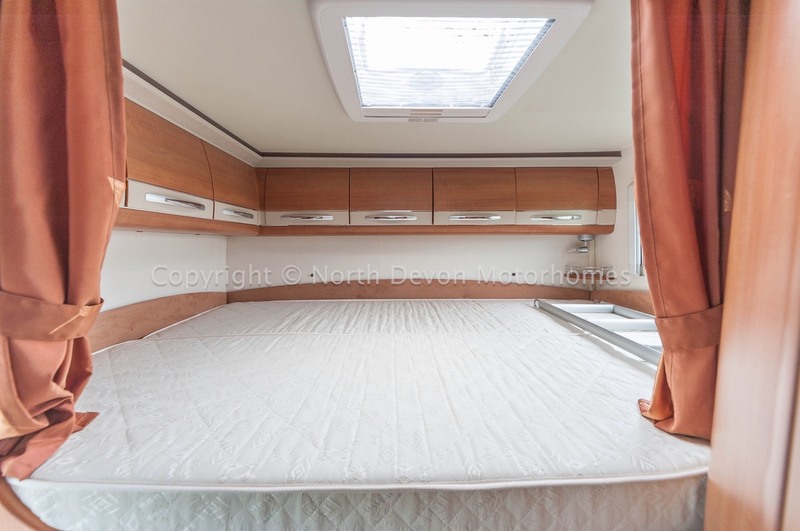 Truma combi boiler working on gas and electric providing blown air heating and hot water, leisure battery, onboard fresh tank (inboard) and heated waste water tank, Zig Charger, Electric 240 mains hook up, double glazed windows with nets and blinds, bike rack and awning. 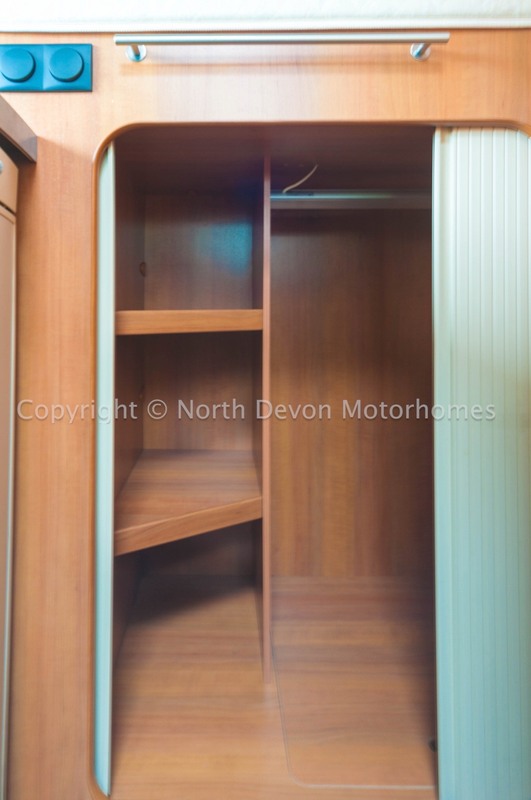 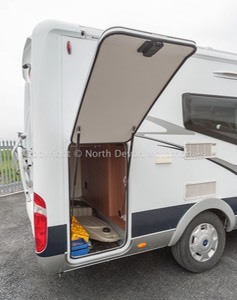 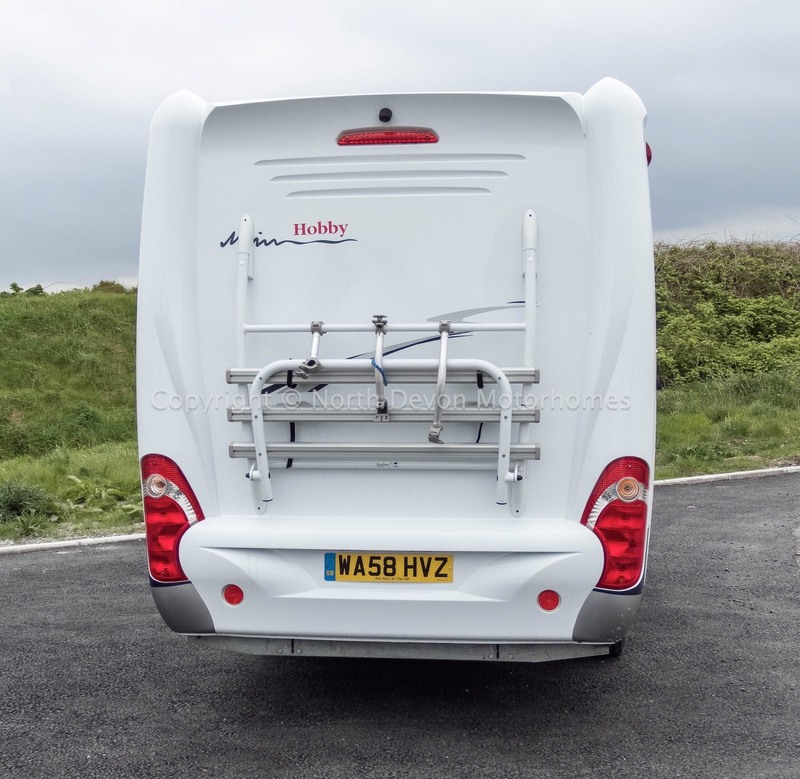 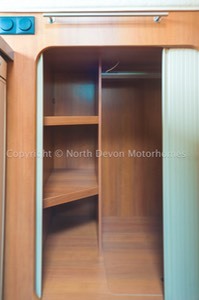 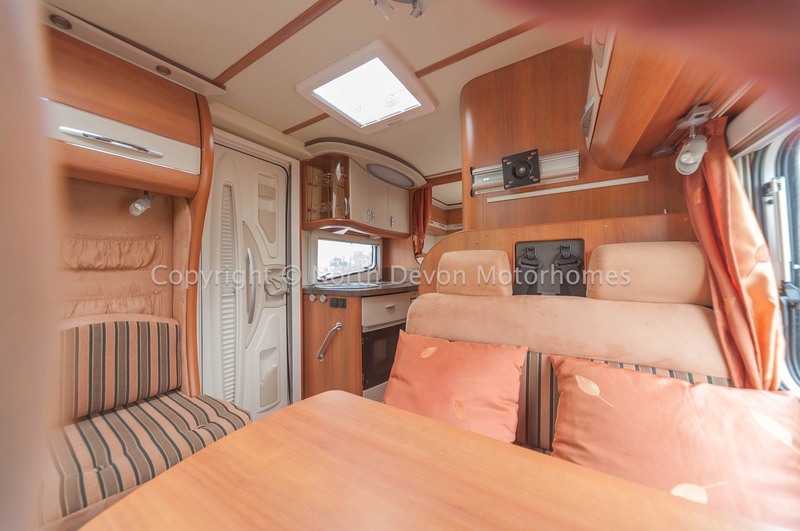 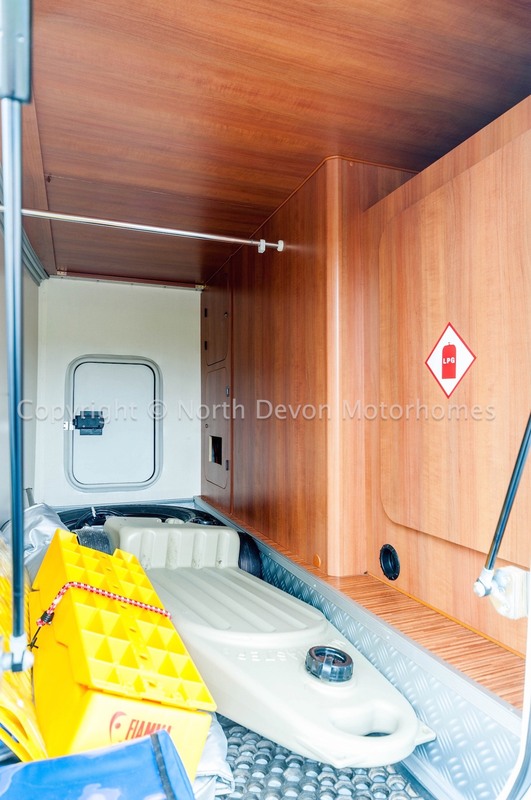 Awning, bike rack, Electric step, heated waste tank, Sat Nav.